Washington’s death penalty has squandered millions in public resources and been applied unevenly, especially to people of color and those in urban areas. The state House should follow the Senate in approving Senate Bill 5339. It’s time to take that ineffective and unconstitutional law off the books. The Washington Supreme Court ruled in October that the way Washington administered the death penalty was unconstitutional, but the court’s action did not eliminate capital punishment in the state. To purge the penalty from state law, the Legislature must vote to repeal. The Supreme Court acknowledged that the Legislature could “fix” the death penalty and make it more fair. But this Legislature and the lawmakers who will follow in its footsteps should not be allowed to do so. Lawmakers have failed for years to pass laws similar to SB 5339. Now, with the court ruling affirming credible arguments against it, is the perfect time to end Washington’s death penalty. Since Washington reinstated the death penalty in 1981, 33 people were sentenced to die, although some had their sentences changed on appeal, and five have been executed. Gov. 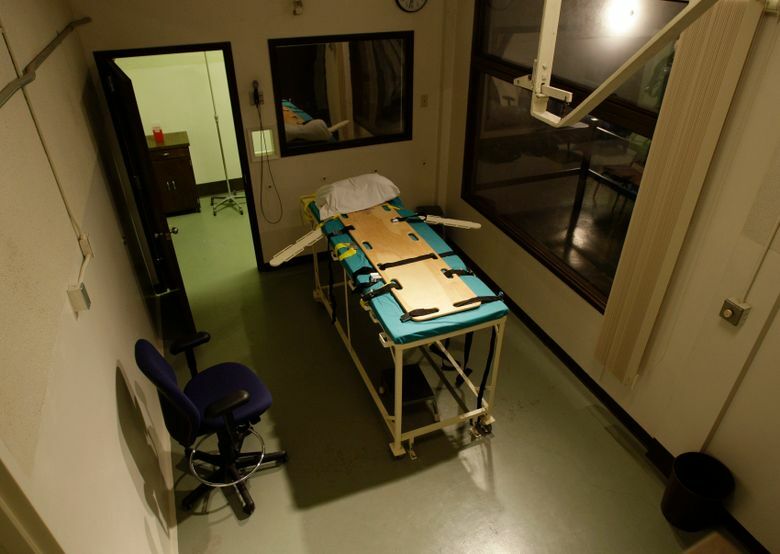 Jay Inslee declared a moratorium on executions in 2014. The Supreme Court’s unanimous ruling converted the sentences for the state’s remaining eight death-row inmates to life in prison without release. In the past 15 years, seven states have ended their death penalties and Washington, Colorado and Oregon adopted moratoriums. Only a few states continue to execute prisoners, including Texas, Florida, Georgia and Oklahoma, and nationally death sentences have decreased dramatically. The decrease is due, in part, because few municipalities can afford the cost of trial and death-penalty appeals. Seeking the death penalty adds at least $1 million to the cost of prosecution in Washington state. The death penalty squanders public resources, has been applied unevenly and is not a deterrent to crime. It should be abolished for good in Washington state.